We were up and out of the apartment pretty early the next morning. We began walking towards the Plaza de Armas to find some breakfast. While walking, a young man approached me with some of his art and asked if I wanted to buy some. While looking through his collections, I found a painting of Machu Picchu in Space with a mountain lion in the upper corner. I had to buy it. He wanted a lot for it, but I managed to get him to drop the price significantly. I would like to think that he painted and I bought a unique work of art on the street, but as our stay in Cusco progressed, I started to get the impression, that people selling the paintings are more like venders rather than selling their own art. Why would I make this claim? Well, nearly all of the people selling paintings carried their artwork in leather bound cases with designs on them. In fact, they all had the exact same cases and all of their art was similar. In addition, from time to time they would get really aggressive, forcing their work in your face as you are walking by. It could be that perhaps I am seeing things this way and this is not the case, but that’s the impression I got. Did it take away from the experience? No. Do I have a cool painting from Cusco now that may or not be an original artwork and memories to share? Yep. Not sure if he painted it, but I love it. After acquiring our artwork and possibly over-paying, we found restaurant called, El Museo de Café or the Coffee Museum. It had been a long time since we had a decent cup of coffee and we were willing to pay a little more for a good cup. Even though I have selected the photos for this post and have looked at each one closely, I still can’t identify what we were eating in the photos. I remember that it was breakfast and that there was an egg involved somewhere, but outside of that, I don’t know. I can say at the very least, it was really nice, and we would find ourselves coming back one last time before heading to Bolivia. Once we finished our meals, we took the opportunity to walk around their coffee museum. Alisa and I have been to several of these types of places. My favorite one is in Antigua Guatemala: here is a small photo album of that trip. We were scheduled to drop by a company called Alpaca Expeditions to make a final payment for our hiking trip. It was possible to pay in Nuevos Soles but they preferred U.S. currency. Our job was to find a bank that was going to let me take out about 1200 U.S. dollars cash. I decided to take out U.S. because of the exchange rate. About 3.5 nuevos soles is worth 1 U.S. dollar, so I would have ended up carrying around a lot more than what I was comfortable with. We walked around the Plaza de Armas for quite some time trying to find a bank that would allow me to take out a large sum of money in U.S. Currency. There was a small problem. A lot of the banks were able help me withdraw the money but only if I used a Visa Debit card. My debit card is MasterCard. I use the MasterCard through Capital One 360 because they don’t charge international fees to withdraw money from the ATM. It has been really useful and has saved us a ton of money when traveling. Let me give you an example. We use a popular bank in the U.S. to do our daily financial business. This bank, however, does not work very well in Latin America. If I take out money, the foreign bank will charge an ATM fee (which is common), my bank will charge an ATM fee (which is common but annoying) and then will charge 5-10% extra for taking money out of an ATM in a foreign country. After a while this could get expensive. Our Capital One account charges us nothing! It’s amazing and perfect for traveling and avoiding money exchange businesses. We could not find anyone who would help us to a withdrawal with my MasterCard, so I decided to see if an ATM would let me take the amount that we needed. I could not find an ATM that would let me take out more than 250 dollars per transaction. This means I would have to do 5 transactions to get the money that I needed to pay Alpaca Expeditions. The first 3 transactions went through perfectly. The third, however, was declined. I checked my email, and my bank said that there was something fishy going on. I would imagine that it looked that way seeing 3 transactions in Perú for that amount. I still had 2 more to go. I responded to the email indicating that it was me and there was nothing wrong. I walked up to the ATM and attempted to take out another 250 dollars. It worked. One more to go. I tried again and nothing. I tried another ATM and nothing. At this point I was getting really annoyed and unpleasant to be around. We walked around for a bit. The girls checked out a few high-end alpaca stores. About half an hour went buy. I saw an ATM in another bank and decided to try my luck. I put in the card selected the amount of money I needed, and it worked! With our money in our pockets we walked to Alpaca Expeditions. We made our payments and were given receipts. The man helping us out was kind enough to answer any questions that we had about the trip. He also gave us a map of the exact route that we were going to take as well as all the important landmarks and places of interest that we would need to know about. 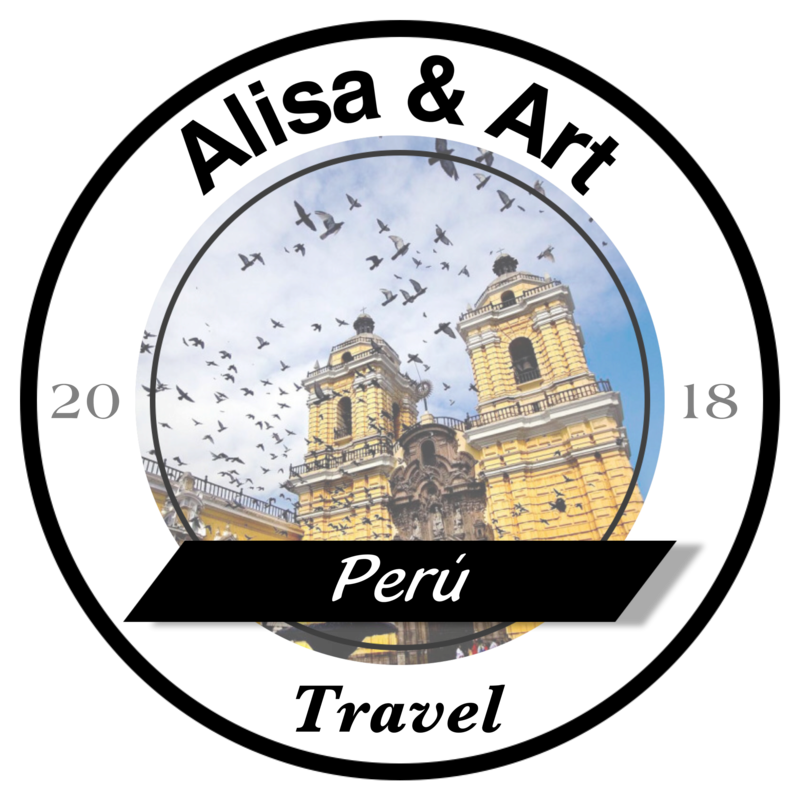 I scheduled this tour in December of 2017 because I had read some articles that said that there was a limit on the amount of people that the government lets on the Incan Trail at any given time. While searching for a company to lead the expeditions, I found a resource that tells you the state of the trail and whether or not there are spaces available. In December of 2017, I visited the website and found out that the month of June had completely sold out and that and that July was starting to run a little dry. I decided that I would reserve our spots. I had trouble, however, finding the right company to hire. At this point I had done a lot of research on the internet but I had no way to verify if the company was honest or even if they were legit. I found the company Alpaca Expeditions. They had really good reviews across various different internet sites: Trip Advisor, google. I also found another blog that was very useful in making my decision. Basically, Alpaca Expeditions is locally owned and is known for giving the porters (local workers that are amazing) a fair shake and a fair wage. This is important as local people are often exploited. After talking for quite some time, we thanked them and returned to exploring Cusco. Close to the Plaza de Armas, we found a small uphill alley that seemed liked a big tourist spot. There were a lot of restaurants, bars, stores, and travel agencies. This is how we found our agency. We were walking up the alley, and we noticed that there was a cat standing in front of a small business. If we see a cat, our rule is that we must follow it. We walked into the store to pet the cat and it just happen to be that it was a travel agency. We said hi to the lady working at a desk and she asked us if we needed anything. We talked about the cat for a minute and I asked her what tours were possible for the following day. We were really limited on what we could do because we had to return to Alpaca Expeditions in the evening for our orientation. There was only one tour that we were able to take that would bring us back in time for our meeting and that was the tour to Rainbow Mountain. We bought three tickets and the employee gave me the number of her uncle who would come and get us at our apartment the following morning at 3 a.m. We paid her in cash, I don’t remember the cost, but it was not that expensive, and then we headed back out onto the street to see what else we could find. We talked to a few more venders, entered more stores, and even got the chance to try some of the local coffee which was not too bad. Our day ended in a huge market where we bought some souvenirs, products made out of coca, and a ton of treats that we could bring back to the state. We decided to head back to the apartment early in order to try to get a full 8 hours of sleep before our trip. We got back to the apartment, tasted some Peruvian wine we had purchased in the city and headed off to bed.